What did our researchers find? 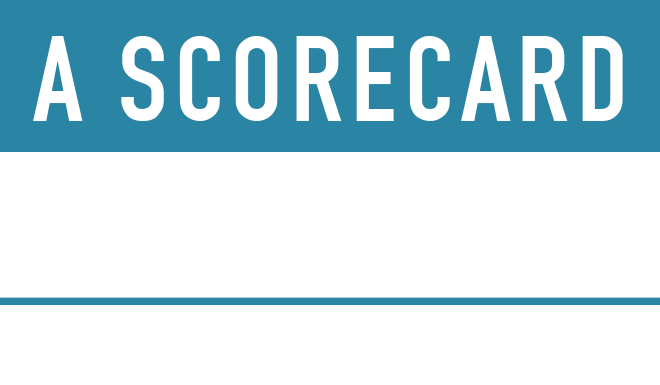 Some global problems have obvious, enormous costs, like health and education. But did you know that every month you live, medical technology adds another week to your life expectancy? Vaccinations now saves 3 million lives each year. Since we started in 1970 with serious vaccinations, we have saved about the same number of people as died in all wars throughout the 20th century. Economic terms give the clearest summary. The cost of poor health at the outset of the 20th century was a phenomenal 32% of global GDP. Today, it is down to about 11%, and by 2050 will have halved again. Take education. Illiteracy today afflicts 23.6% of the world's population. Yet, in 1900 perhaps 70% were illiterate, and there will still be 12% left by 2050. In 1900, the world has barely more than one year schooling on average. Today, almost 7 years. The costs of illiteracy are huge: 12% GDP loss in 1900, 7% now and 4% in 2050. Both areas showcase an amazing improvement. But what about areas like biodiversity, global warming and air pollution? The net impact on biodiversity has been declining over the 20th century, but will likely improve slightly in the 21st. Losses in the 20th century were on the order of 1% of GDP, whereas from 2000-2050 there will be a small 0.25% GDP benefit, because of reduced conversion of forests and better usage of agriculture. Global warming is surprising, because the impact now is positive. The increased level of CO₂ has boosted agriculture because it works as a fertilizer. At the same time, the number of people dying from heat waves are more that outweighed by fewer people dying from fewer cold waves. In all, global warming benefits have increased from 1900 to almost 1.5% of GDP by now, but by 2025, they will peak and begin a rapid decline, leading to a net negative towards the end of the century. Air pollution is not what you think. It is by far the biggest environmental problem in the world. And its impact has been declining for past 110 years. This is because most air pollution deaths are caused by indoor pollution from cooking and heating with dirty fuels. Over the 20th century, 260 million died from indoor air pollution in the Third World – about twice the toll in all the century’s wars. Overall, in 1900, air pollution cost 23% of global GDP. Today it has fallen to 6% and by 2050, mainly because of much less indoor pollution, it will reach 4%. The overall score is hard to deny. The realist assessment is that the optimists have it.